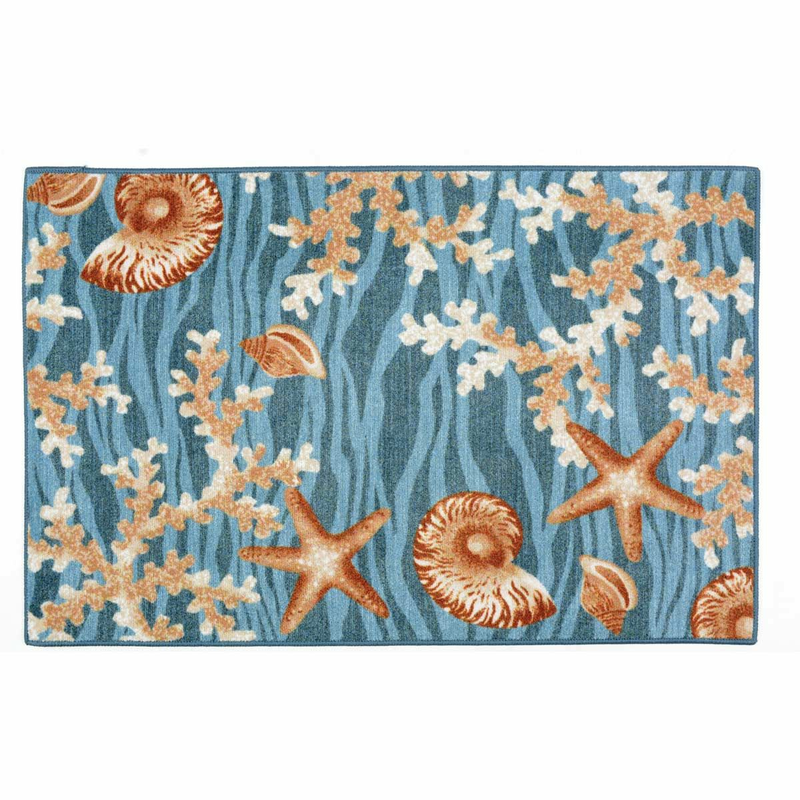 A Bella Coastal D�cor Exclusive - Shells and coral in durable nylon with non-skid backing. Made in the USA. 20"W x 34"L.